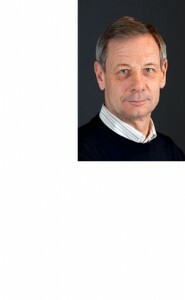 Dr Jonathan Knowles is the former head of Group Research and was a member of the Executive Committee at Roche from 1997 until 2009. He has been a member of the Genentech Board for the last 12 years and was a member of the Chugai Board for seven years. Dr. Knowles was also the chairman of the Corporate Governance Committee of Genentech. Under his leadership, the company developed and implemented a strategy of highly effective therapies based on personalized healthcare and built one of the best pharma pipelines in the sector. For 5 years, he was the Chairman of the Research Directors’ Group of EFPIA (European Federation of Pharmaceutical Industry Associations) and was the first Chairman of the Board of the Innovative Medicines Initiative, a unique public-private partnership between 28 Pharmaceutical companies and the European Commission with a budget of more than 2 Billion Euros over five years. Recently, he was also Chairman of the Hever Group for 5 years, a high level group of board level industry R&D directors and other public sector key players in the field of new therpeutics. Prior to his move to Roche, he was the director of the Glaxo Insititue for Molecular Biology in Geneva for ten years, head of European Research for Glaxo Wellcome and head of the Glaxo Genetics Initiative. Currently, Jonathan Knowles is Professor Emeritus at EPFL in Switzerland, holds a Distinguished Professorship in Personalised Healthcare at FIMM (Finnish Institute for Molecular Medicine) at the University of Helsinki and has a Visiting Chair at the University of Oxford. In addition, he is a member of the European Molecular Biology Organisation and a Visiting Fellow of Pembroke College Cambridge. He is a trustee of CRUK and the MAVA foundation and is also a non-executive member of 8 SMEs mostly focused on radical new therapeutic and diagnostic approaches to cure disease.